MMA Joinery are responsible for all the joinery aspects in this contract ranging to the extensive external wrap of western red cedar cladding to the entire main building and sports hall, right through onto the internal 1st & 2nd fixings. Maplefields School sites in Kettering and Corby will be combined on one plot in Corby. 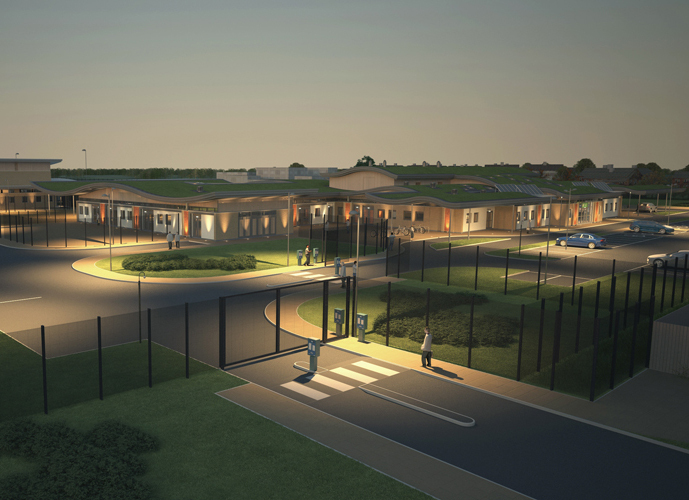 The school will have three separate elements within two buildings, with a primary school, a secondary school and a post-16 and diploma centre providing vocational and sports facilities. 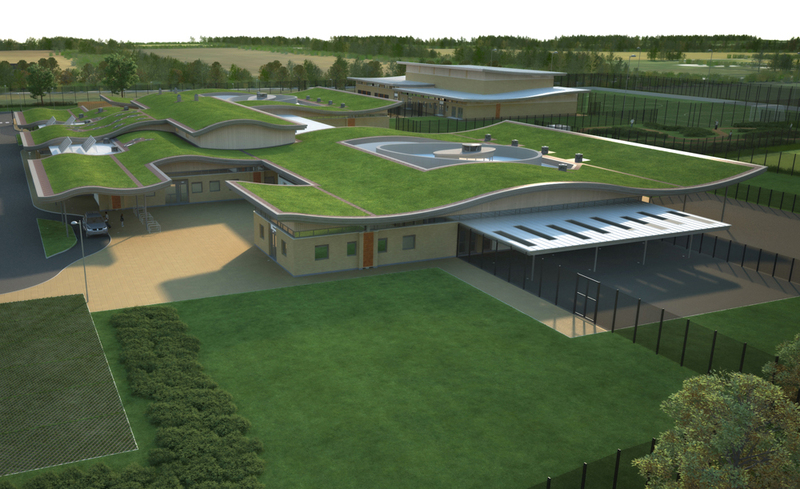 The new school will be able to cater for up to 110 pupils from the age of 5 through to 18 with 65 staff. To help reduce the environmental impact, “green” technologies have been incorporated into the design including rainwater harvesting, high levels of thermal insulation, natural ventilation, green sedum roofs and solar thermal panels.